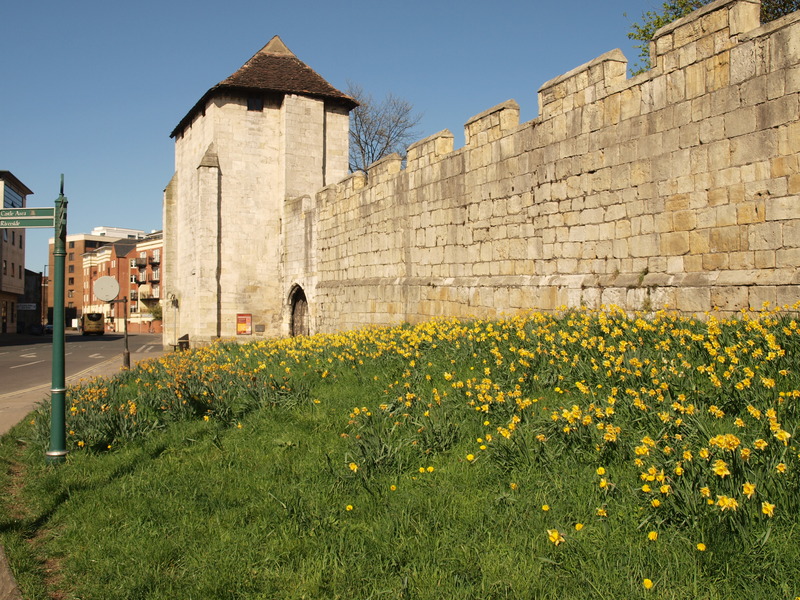 The Friends of York Walls continue to work towards the refurbishment and ultimate re-opening of Fishergate Postern Tower as a community resource. We are seeking to raise funds for this project by inviting the general public and local businesses to “Sponsor a Stone”. This major fund raising activity was officially launched in January 2012 when The Lord Mayor of York was presented with a certificate of ownership of the first stone. Sponsorship of stones on the West Wall has been available since the launch, and the North Wall has been added in late 2014. For your sponsorship you can choose a specific and identifiable external stone, or stones, on an outside face of Fishergate Postern Tower, York, UK. For your donation you will be issued with a unique certificate to record your stones location. Stone locations and their availability are identified on this web site. Stones are allocated according to availability and only issued once. Sponsors names, together with any optional messages, are entered into a “Book of Sponsors” which can be viewed in the Postern Tower Walls Online Sponsors Book here on this website, and will also eventually be on display within the tower itself. Sponsors names and any optional message will also appear by “hovering over” the relevant stone number on the on-line availability grid. This is a unique opportunity to contribute towards a project to restore one of York’s ancient monuments to public use. By sponsoring a stone or stones you contribute towards the Fishergate Postern Tower restoration work, and our work to promote York’s Walls. Your sponsorship can be for yourself, is ideal as a gift for someone, or for a significant event or person in your life. The scheme can be used to observe a special occasion such as a birthday, a christening, a wedding, as a memorial or simply to convey a message. Stones on two external walls of the power and Postern are available for sponsors. The West Wall & Postern Gate stones are numbered 01A to 45M, the North Wall stones are numbered 46A to 82M. You can choose your stone, enter your details and message, and pay your donation on-line on this website. Online Payment by Credit / Debit Card is made through the PayPal facility, but you do NOT need a PayPal account to make a card payment. An email will be sent automatically to you to confirm receipt of your payment. Please use the form below to make payments for your reserved Tower Stones. Please enter the Stone Reference Number(s) in the Reference box. If you do not wish to pay through the PayPal facility, you can send a bank transfer as per the instructions on the FPT stones application form or post a cheque to the address specified on the form. Please reference your payment with the stone number(s) you are paying for.